These days, with the increasing vulnerability to deadly diseases, it is important that we keep top-notch immunity and good standards of health. This can only be achieved by food that has a nice nutritional value along with the essential minerals and vitamins. But, the surveys by plenty of organizations worldwide have asserted that the food in India be it vegetarian or non-vegetarian, is pretty protein-deficient. Therefore, there is a serious need to address that issue by adding a dietary supplement that would help us get that nutritional balance in our life so as to lead it in a healthy manner. Thus, today we have lined up the Best Whey Proteins on the market, which will help us fill up that protein deficit that we experience in our daily nutrition. Not only in gaining lean muscles, the whey proteins are also going to facilitate fat loss so that you get into a proper shape. You solely need to consume the whey protein twice a day after mixing it with 200-250ml of water to serve your body with the adequate amount of protein every day. 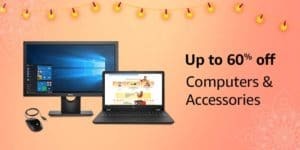 So, if you also want to stay fit and healthy, go through out whey protein reviews and purchase the whey protein that suits your preference, requirement, and budget. So, here we go about reviewing all the whey proteins on our listing so that our users may know more about them. Optimum Nutrition is a brand that has been ruling the dietary supplement market for quite some time now and its range of whey proteins is just incredible. From that variety from ON, we have screened the ON Gold Standard 100% Whey Protein, which is going to take care of your body’s protein requirements on a daily basis. A single serving of this supplement provides the consumer with 24g of whey protein and just 1g each of sugar and fat. Having 5g of naturally occurring BCAAs together with above 4g of glutamic acid and glutamine in every serving, this whey protein is certainly a dominant formula for bodybuilding. 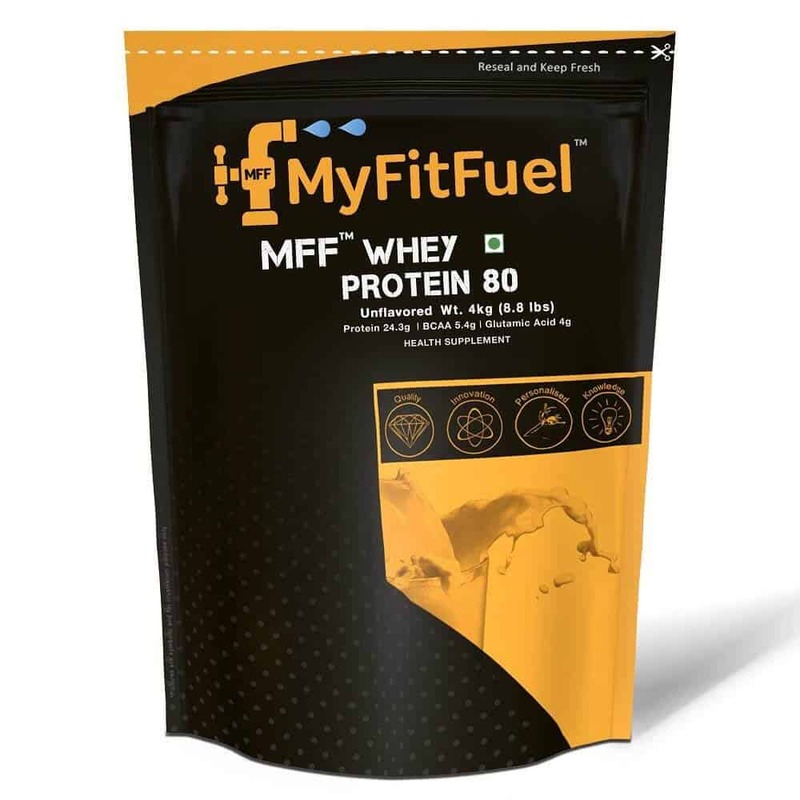 In case you want to purchase a reasonably priced whey protein in a large quantity, then you may opt to purchase the MFF Whey Protein 80, which has been crafted out of a really high-grade tested & imported instantized 80%whey protein concentrate. This whey protein has been sourced from the fresh grass-fed cow milk, which gives rise to an elevated nutritional value protein and assists in building the lean muscle. In addition, this whey protein concentrate is free from Aspartame and doesn’t even comprise of any trace of soy protein, skim milk powder, dairy whiteners, color, sugar, preservatives added, or artificial flavor. 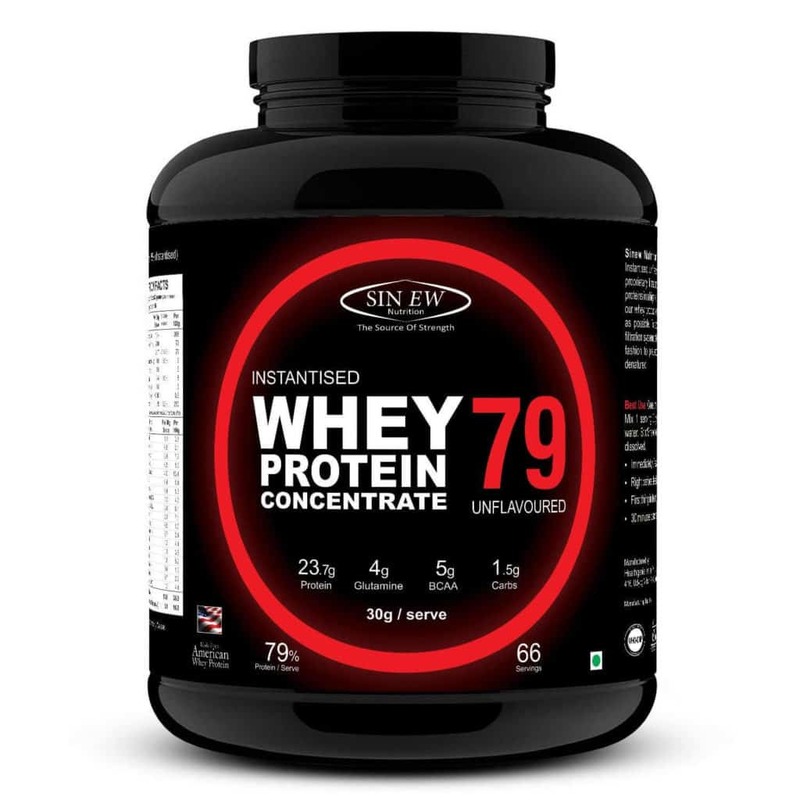 Aimed at the beginners, here is a quality whey protein concentrate from Sinew Nutrition, which provides you with the unflavored instantised protein powder manufactured in the US through an exclusive filtration method that concentrates natural whey proteins in an extremely filtered form. The motive of Sinew Nutrition is to make sure that the whey products function properly in various precise applications probable. To get this done, they employ an innovative filtration method that processes the received whey in a mild manner to avoid the protein arrangement from turning denatured. For the love of chocolate flavored whey protein, here is the Dymatize Nutrition Elite Whey Protein Powder, which is a nutritional supplement ideal for the carb onlookers. This whey protein powder facilitates instant mixing, is completely aspartame free, and comprises of Aminogen to enhanced muscle growth. This 2.2 kg pack of whey protein powder offers as many as 63 servings and is so delicious owing to the flavors it offers its consumers with. 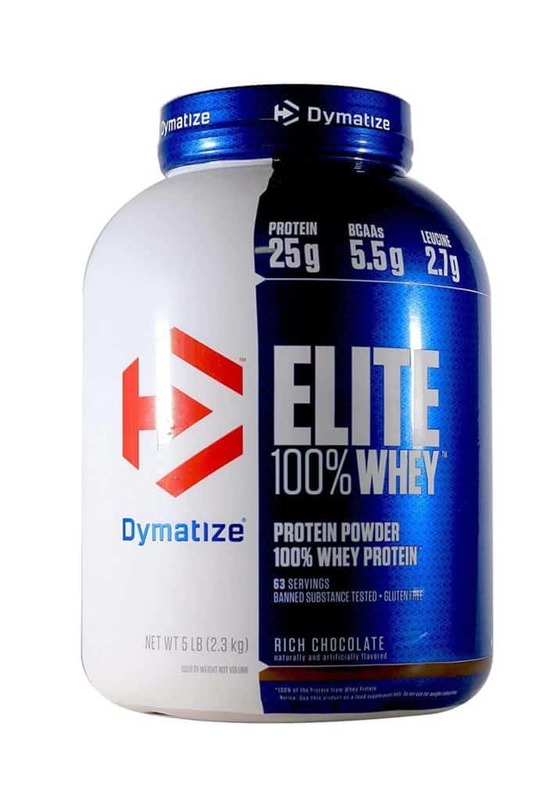 The Dymatize Nutrition Elite is the impeccable combination of ion-exchange whey protein isolates, whey protein concentrates, and the whey peptides. Do you want to purchase a whey protein isolate of the purest form for lean muscle growth? 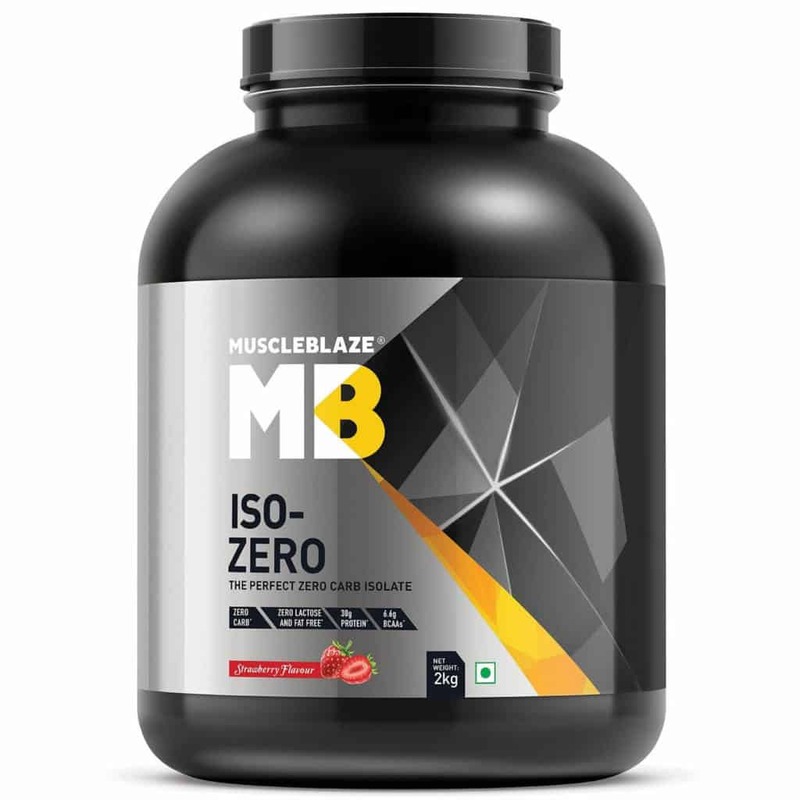 Here is the MuscleBlaze Iso Zero, which is the 100% top-quality whey protein isolate with a delicious flavor. It is a formula that is low on carbs and has been manufactured to match up to your protein necessities for lean mass growth. It offers nearly 30g of clean whey protein isolate in each serving of 36g. Having 13.87g of Vital Amino Acids and 6.51g of BCAAs in every portion, this whey protein powder assists in enhancing the recovery of muscles and avoids catabolism in the course of intense training sessions. So, these were a few whey proteins that we would suggest our users to purchase from the market since they offer the right amount of every single nutrient so as to enhance the muscle growth through escalated muscle recovery. After going through the comprehensive reviews out here, we suppose that our customers might be able to select the best whey protein, which is going to flawlessly imitate the requirements, preferences, and the budget of the user. On the other hand, if even after going through our detailed reviews, some or the other user is unable to decide so as to which whey protein they should opt for attaining their fitness goals, then they should readily go with our personally suggested product for sure. 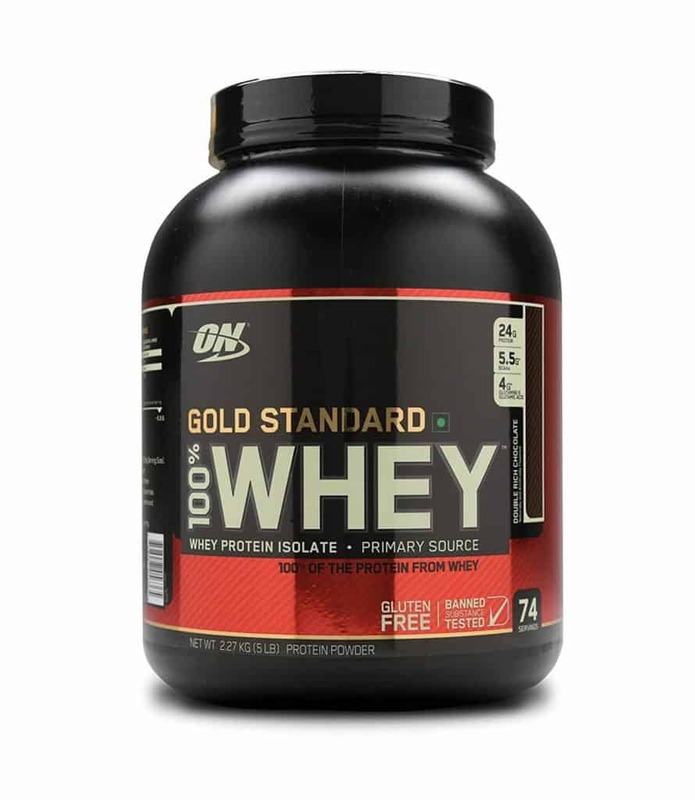 The whey protein that we are going to recommend our users to purchase is the Optimum Nutrition (ON) Gold Standard 100% Whey Protein Powder – 2.27 kg, which provides the consumer with the most impeccable blend of vital nutrients that help in facilitating lean muscle growth and recovery. Apart from that, going by the name of the brand, Optimum Nutrition is a well-reputed and the most trusted brand as far as the range of dietary supplements is concerned. Apart from that, the whey proteins from ON are available in a wide variety of as many as 20 flavors to suit the taste of one and all.